A home fluoride water filter system from RainSoft will effectively remove fluoride from your household water. While topical fluoride, such as that found in many brands of toothpaste and mouthwash, has been proven to be effective at reducing the incidence of dental cavities, the benefits of fluoride ingestion are not so clear-cut. Further, because everyone drinks different amounts of water, it is difficult to maintain the correct dosage of fluoride in this manner. As a result, there is some controversy surrounding the fluoridation of public drinking water. 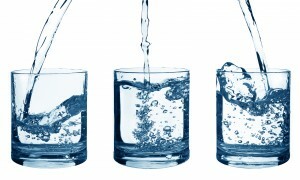 If you would prefer not to ingest fluoride through your drinking water, your local authorized RainSoft dealer can provide a complimentary, in-home water analysis and, if necessary, help you choose an appropriate drinking water system from our cutting-edge selection to eliminate the fluoride from your water. We offer fine-quality reverse osmosis drinking water systems to ensure that families like yours receive the cleanest water at affordable prices. RainSoft drinking water systems can also be plumbed to your refrigerator’s ice and water dispenser, so you can enjoy the convenience of pristine cold water and ice at any time. Contact a local authorized RainSoft dealer today to arrange for a complimentary in-home water hardness and drinking water test, and to learn more about the advantages of a RainSoft home fluoride water filter system.